Agri – Food Waste Day Conference Brussels, 17.10.2017. 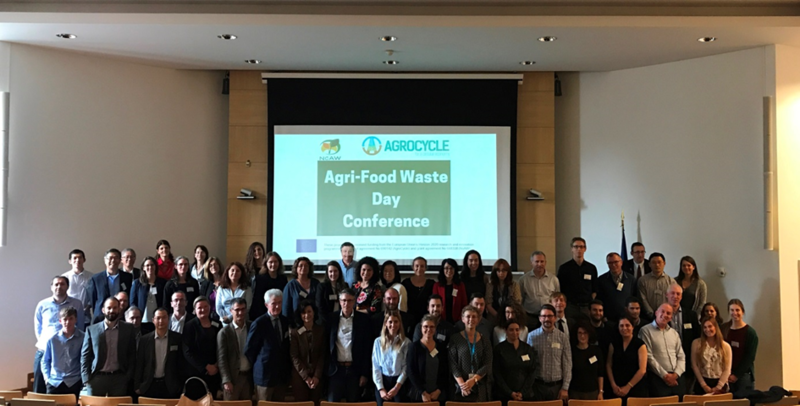 On 17th of October 2017 a successful conference was organized in Brussels: the Agri-Food waste Day. The conference brought together two Horizon2020 projects, the NoAW and AgroCycle projects, and their stakeholders. The event was a great opportunity to create personal links and joint consultation with the KESP members of the two twin projects and provided an opportunity to get a holistic view of the ongoing research and innovation, current challenges of circular economy challenges and resource availability. The novel case studies, solutions on agri –food waste valorisation, innovation and IPR management were presented followed by a collaborative discussion and number of interesting contributions from the stakeholders.